“So…how long will you be here for?” the cab-driver asked in his heavy African patois. With our conference over, the three of us – Marilyn, Kat, and myself – had but a few hours left to explore Indianapolis before heading out for our respective home states; I nearly answered as much, until I saw the cabbie warily assessing a few distressed homes and unkempt yards surrounding us. “An hour – maybe two,” I said, recognizing the seemingly questionable sense of three out-of-towners dodging the well-attended confines of their downtown hotel for a destination three-and-a-half miles west, in a neighborhood that grew rougher-looking by the block. The four of us stared incredulously at the large, empty field surrounded by wire fence when his GPS announced our arrival about a half-mile later. 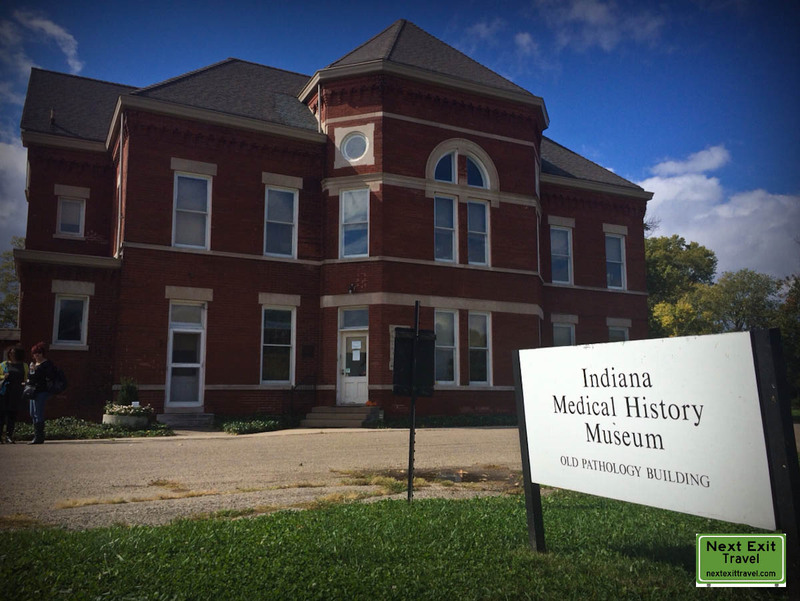 It was Marilyn who finally noticed the non-descript sign that stood watch at the entrance to a long, flat driveway: INDIANA MEDICAL HISTORY MUSEUM. “This is it,” said Kat, pointing down the lane. The driver headed slowly through the open gate, coming to a stop a few hundred yards later in front of the Old Pathology Building, which houses the museum. The driver handed Marilyn a business card. We stood before the brick Victorian as the cab pulled off. 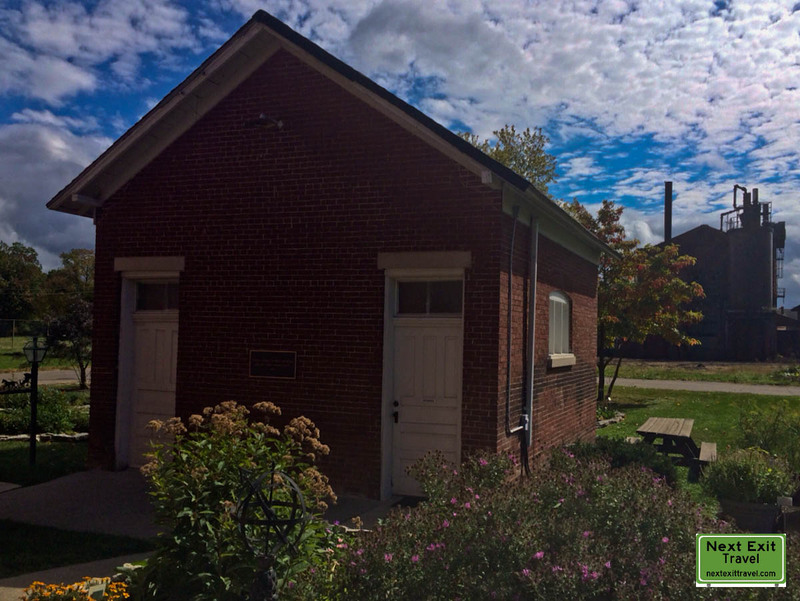 Built in 1895, the structure is one of the few remaining vestiges of the once-sprawling Central State Hospital, a self-contained psychiatric institution whose various incarnations operated on the site from the mid-19th century until its complete closure in 1994. 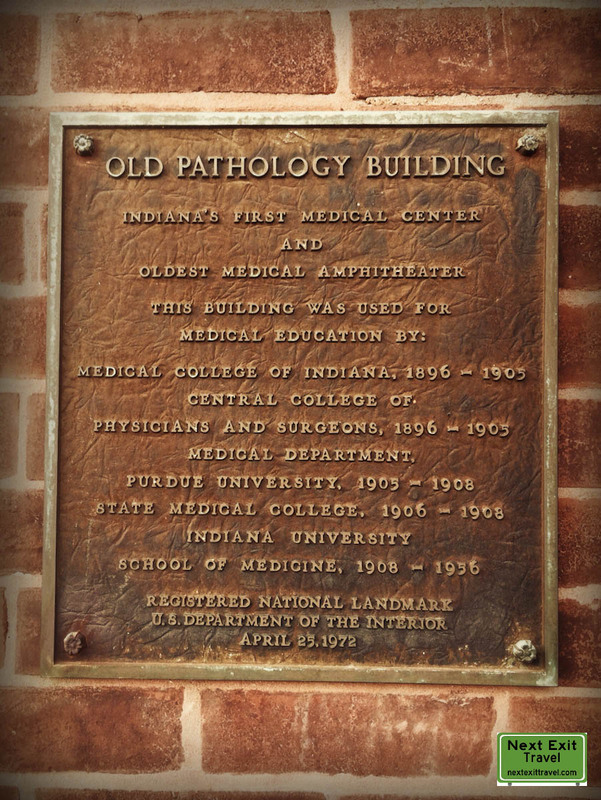 Today, the Indiana Medical History Museum, housed in what was once called the Pathological Department Building, chronicles the earliest days of modern psychiatry and medicine. 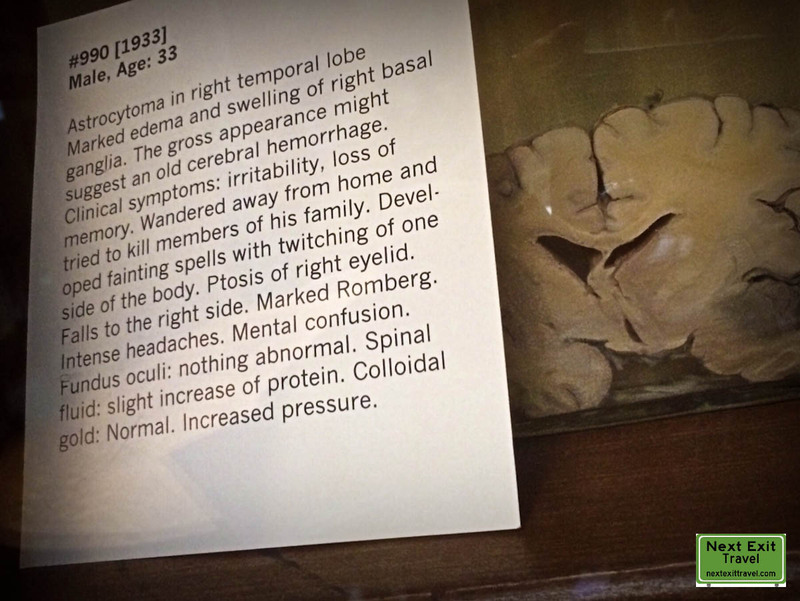 Inside, we paid our admission and were directed to wait in the nearby anatomical museum for the next scheduled tour. Guided tours, which begin on the hour, are mandatory, and for good reason, to which the museum’s fragile artifacts and sometimes constrained presentation ultimately attest. With the arrival of a few more paying customers, a very knowledgeable docent named John led us on an informative tour of the museum’s key features, including its teaching amphitheater, clinical laboratories, photography lab, library, autopsy room, medicinal garden, and a small brick outbuilding known as the “Dead House”, where cadavers were once stored for extended periods of time. 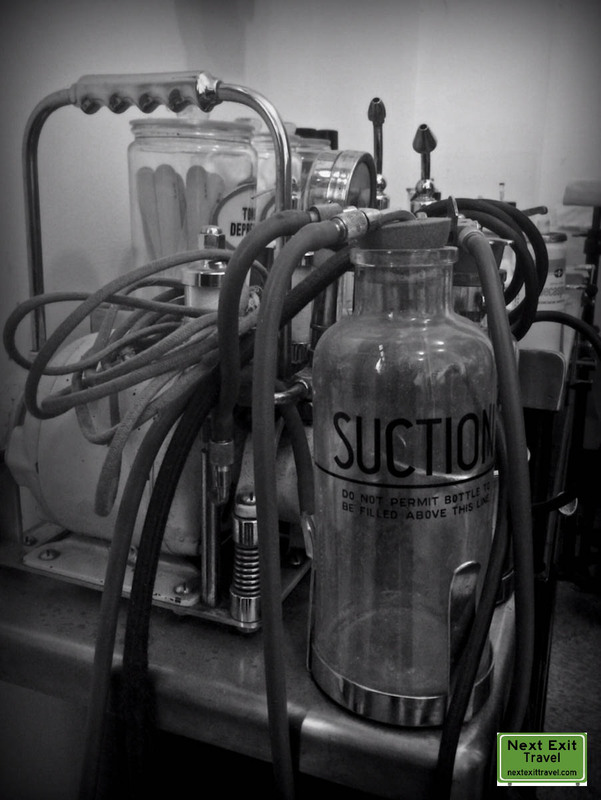 One of the most remarkable aspects of the Indiana Medical History Museum lies in the immediacy of its displays, which often suggest a phantom staff of doctors, nurses, and administrators who were there one day and gone the next, leaving everything in its place. 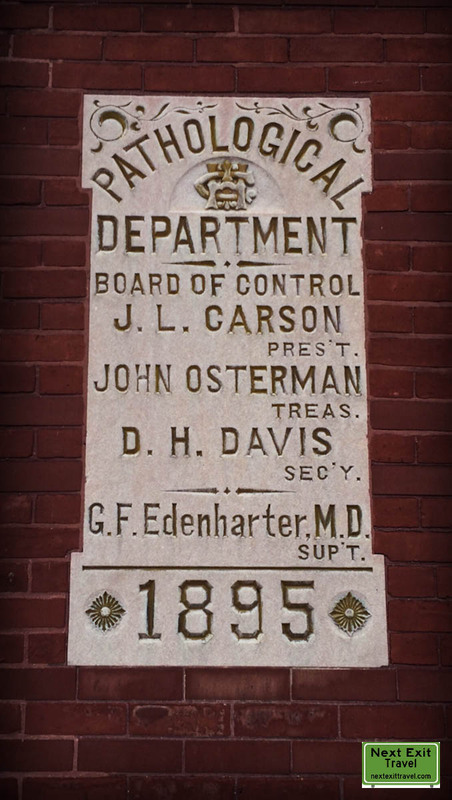 Photography is permitted throughout the building save for one upstairs room, which still houses old patient records. 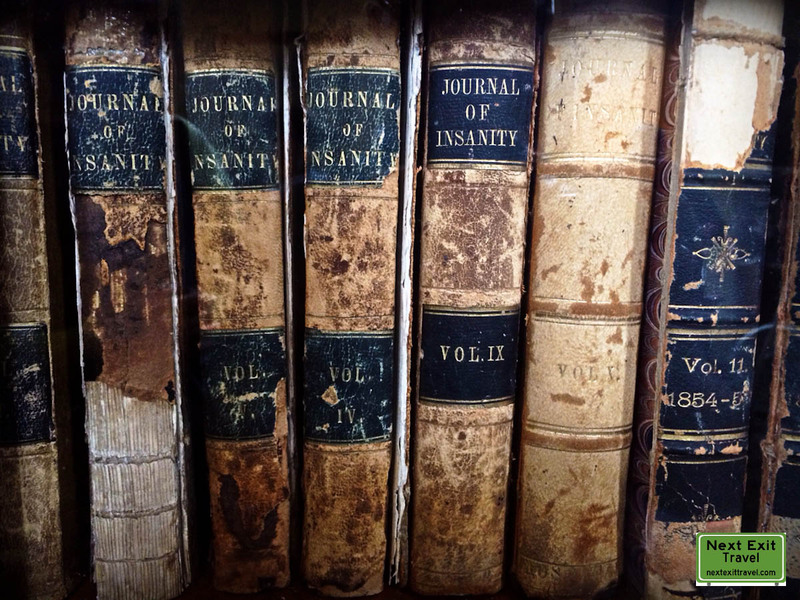 Ancient textbooks bearing titles like Sexual Truths and Journal of Insanity abound in nearly every room. 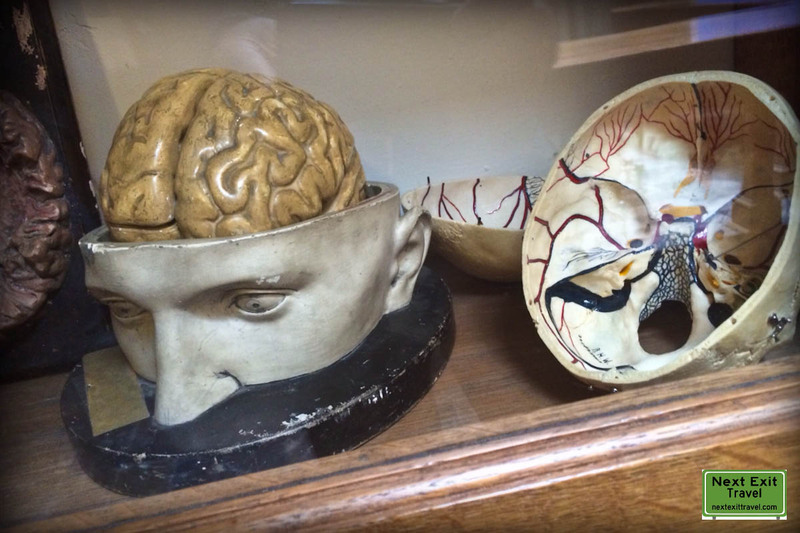 However, despite its collections of autopsy equipment and preserved biological specimens, the Indiana State Medical Museum’s presentation avoids ghoulish overtones, focusing instead on pioneering efforts to scientifically identify and treat various forms of mental illness. 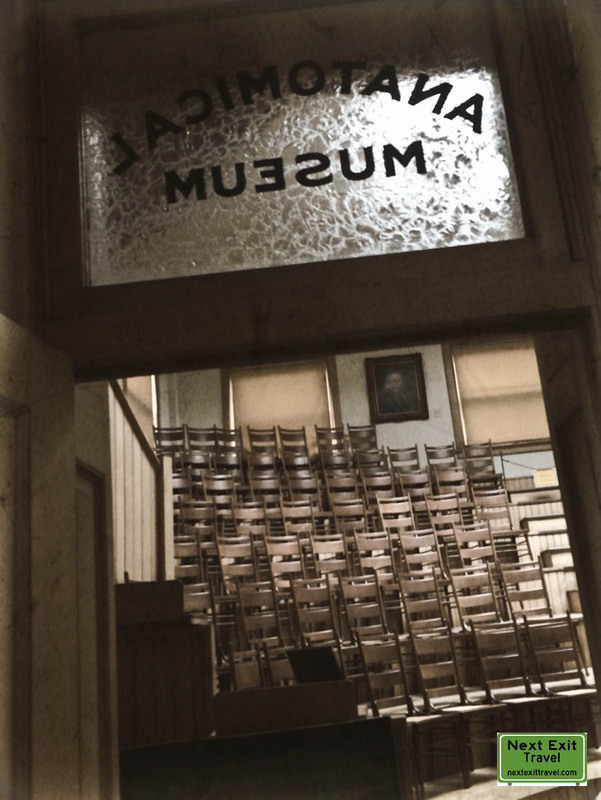 It will appeal to fans of places like the Mutter Museum in Philadelphia and Scotland’s Royal College of Surgeons of Edinburgh (both stories for another time), and is well worth a jaunt for anyone living or staying in the Indianapolis vicinity. But those without their own transportation be warned: plan your return trip in advance.